We got a very intriguing and engaging finale for the excellent season 5. Although some aspects of this season closer didn’t sit well with me, it was excellent anyway. When a tv show has you thinking even a few days after you saw it, the producers must have done something right :). I am sure I’ll spend some more blogposts on this one ! Let me get out of the way what I thought was a bit cheap. Introducing Jacob as a ‘real’ character at this point felt wrong, so late in the series. 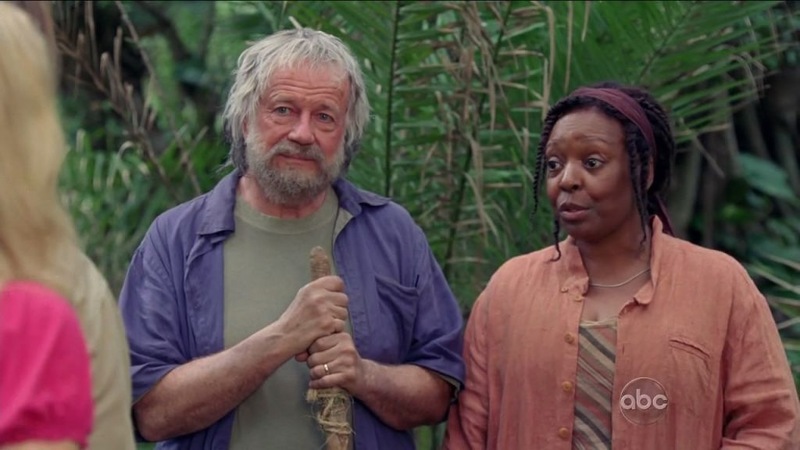 Now all of a sudden, we learn that he has been manipulating people’s lifes all this time and somehow lure them on the island, this also explains a lot of the ‘coincidences’ where the losties had already some ties to each other before coming to the island. Deus ex machine comes to mind : literally "god from the machine") is a plot device in which a person or thing appears "out of the blue" to help a character to overcome a seemingly insolvable difficulty. I really wonder when they came up with this. But anyway it’s here and we got to deal with it. The casting of Jacob could have been a bit better, he didn’t look at all like I would have pictured Jacob. 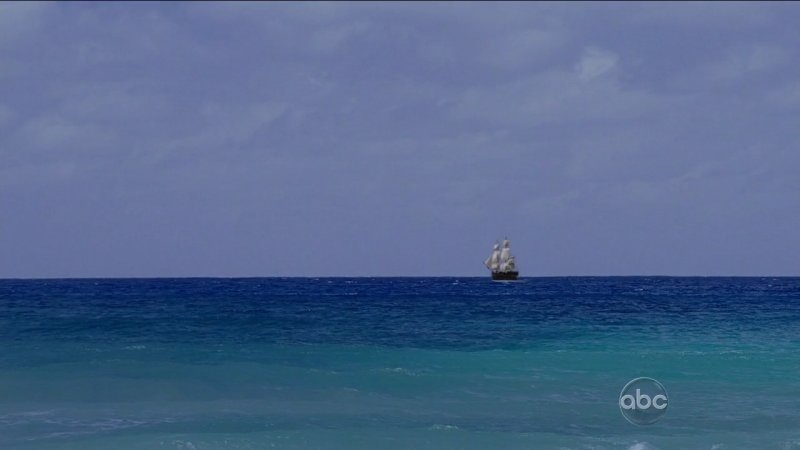 Basically the very first scene of Jacob weaving some tapestry and meeting with Esau on the beach, was the most important scene on Lost so far. We finally get to know what is going on. It seems that two ‘demi-gods’ are playing some sort of game. Jacob is trying to proof a point, where as Esau desperately is trying to find a loophole in order to kill Jacob. Jacob keeps bringing people to the island, and Esau claims they will only corrupt and eventually kill themselves. Some people claim it’s a battle of good and evil (hence the black and white shirts), but I am in the other camp that says it’s freewill vs. fate. 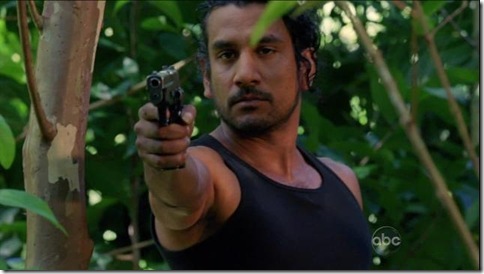 Jacob does some horrible things as well (distracting Sayid as they cross the street wasn’t very nice). All in all very intriguing ! And it seems the Widmore vs Ben is sort of a mirror of their game. On the other hand in the greater scheme of things, that one is somewhat minor than the Jacob vs Esau game. The Locke / Ben situation was apparently the loophole, that Jacob helped set up as well. Was Juliet the variable though ? As she was the only one not getting a Jacob’s touch in the flashbacks. The other thing that was just plain dumb was the whole Sayid, Jack, Kate etc story line. 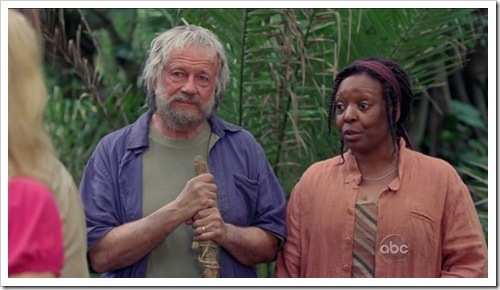 In less than 2 hrs (as Sayid claimed), they crossed over to the other island, ran to the drill site after meeting Rose and Bernard (which was a great moment btw!). Oh yeah they also had 2 gunfights where Jack was dropping Dharma guys like flies while not getting shot himself, and a fistfight with Sawyer. Juliet dropping down the hole was sad, the scene with Sawyer grabbing her hand was very moving. But how did she ever survive that fall ? And a nuke that’s set to blow up (by McGyver Sayid) on impact, didn’t blow up, but we’re supposed to believe that it did after Juliet slaps it with a rock ? My guess is that it never did blow up and the Dharma folks build the swan station on top of it. The flash we say at the end was another time travel thing, and the losties in 1977 are back on their way to 2007 (imho of course ;)). That sounded overly critical, but overall it did make for some very nice and exciting television ! Of course I was sitting on the edge of my seat during that all. Also Ben in his current mode is very fun (I was enjoying some quiet time Joooohn). And then the big surprise of Locke’s body in the box. We already noticed that Locke was being different, and especially this episode he was starting to act ‘out of character’. Still a nice surprise though :). And very well acted by Terry O’Quinn. Kinda sad Locke now is really dead :(. What exactly is the whole purpose of that Ilana gang ? Besides carrying a box with a dead guy for an entire episode ? And indeed, for what is Lapidus a good candidate ? The flashback with Jacob and Ilana didn’t seem to serve any purpose. We don’t even know her, much less why she was in a cast in some foreign hospital. And I don’t believe they’re the Good Guys. I don’t believe in good and bad at all anymore on this show. So many more thoughts on this episode, but at least I’ll have something to blog about while we wait for season 6 ! Posted in Movies / TV and tagged lost on 16/5/2009 by Eric. Wow, a very different episode from last week. The story is moving on on all fronts (or moving back to our time it seems) as we get closer to this Season’s Closing Episode ! Bit hard to express all the thoughts that come up after watching this one, but I’ll give it a try ;). Locke really is different from the person who died, some episodes ago. Eve Richard notices ! 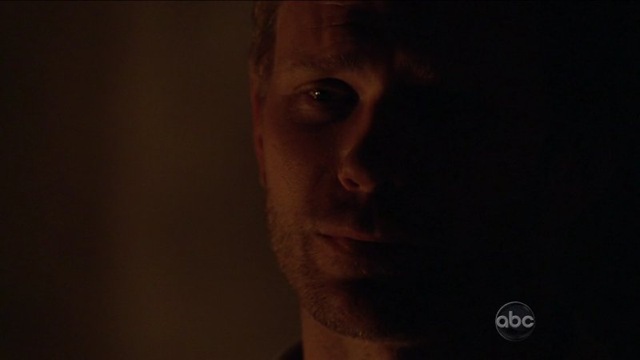 He seems to be even more in touch with the island, or at least thinks he is, which becomes evident when he gets the timing to have Richard help himself in the past, exactly right. Ben is very surprised and so is Richard. 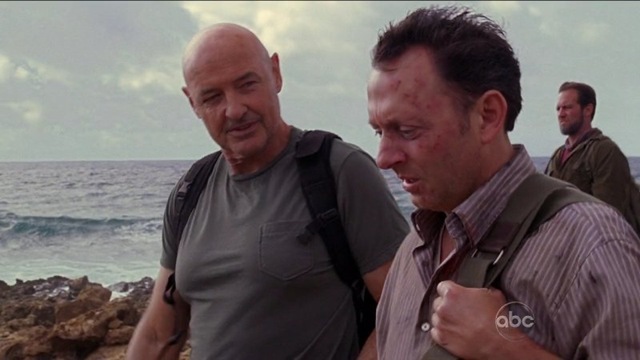 Apparently Richard doesn’t know everything either, he was very surprised to see Locke again after three years, and even more surprised to hear he actually died and came back. Richard telling Locke to get everyone back on the island and having to die, was very weird. A time travel paradox, circle kind of thing, and those are very hard to wrap your mind around. Then Locke proceeds to arrange a march on Jacob in order to kill him. Can Jacob even be killed ? I thought he only showed himself when he wanted himself to be shown. I guess we’ll see how that ends in the final episode of this season. Posted in Movies / TV and tagged lost on 8/5/2009 by Eric.